The Telus LTE Cellular Communicator offers fast cellular connectivity for any Simon XT, Simon XTi or Simon XTi-5 Panel. Upgrading to cellular is essential for ensuring top communication speeds and maximum reliability. It is also needed for accessing Alarm.com. Buy the Telus communicator here. The Interlogix 600-1048-XT-LTE-TL is the only Alarm.com LTE cellular communicator that operates in Canada. The Telus LTE network offers fast and reliable data transmissions throughout Canada. Now Interlogix Simon owners in Canada can join the fun with all the features that Alarm.com has to offer in terms of automation integrations like Nest, Liftmaster MyQ garage door control and much more. This module will provide incredibly fast LTE communication speeds for any Simon XT, Simon XTi or Simon XTi-5 Alarm System. Cellular communication opens up a realm of new possibilities for an Interlogix Panel, including access to Alarm.com, Z-Wave control and more reliable monitoring service than an archaic phone line. The module can be installed by any end user, with no separate tools required. With the new features and faster communication speeds, this is truly the most important upgrade a user can make for their Interlogix Panel. Simon XT V1.3+, all Simon XTi and all Simon XTi-5 Panel can use the Telsus LTE Communicator. As Telus only represents Canada, the module is only appropriate for Canadian users. Fortunately, American users can instead use the Verizon or AT&T LTE communicators. All of these modules attach securely inside the alarm system in a pre-designated housing. After installation, the device must then be activated by the user's alarm monitoring company. The user must also obtain an alarm monitoring plan that includes cellular service. Only then will the panel be able to utilize cellular communication. In addition to being more reliable and faster than regular telephone service, cellular communication provides some new capabilities for an Simon panel. The biggest new feature is the ability for the system to sync with the Alarm.com service. 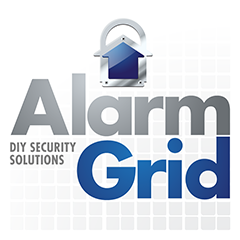 Alarm.com allows users to arm and disarm their system, check the status of programmed sensors and control Z-Wave home automation devices. By using the Alarm.com Mobile App, a user can perform all of these actions remotely. Overall, this service provides a major convenience for users in controlling their systems and receiving customizable notifications. Another huge benefit of the Telus LTE Interlogix Cellular Module is that it includes an integrated Z-Wave Controller. Z-Wave is a special type of RF signal that is used for operating Z-Wave home automation devices. Z-Wave devices can be controlled from the alarm panel or using the Alarm.com service. This includes any Z-Wave lights, locks, door locks and more. Using Alarm.com, users can create rules and scenes for their Z-wave devices. This will allow the Z-Wave devices to activate automatically when certain system events occur. The designated events can be anything from disarming the system to activating a programmed motion sensor. Please Note: This is the Telus LTE version of the Interlogix cellular communicator. It will only function in Canada where Telus service is available. For those in the United States looking for a similar product, we recommend the Verizon or AT&T LTE radios. The only difference between these products is the cellular carrier that provides the cellular service. Other than that, these communicators all offer the exact same functions and features on Alarm.com. We recommend choosing whichever service tends to work best in your area. Remember, this has nothing to do with the cellular service you use for your phone. It is a completely independent cellular plan that is bundled into your monthly monitoring rate. Also, Simon XT panels must be firmware version 1.3 or higher to support this radio.